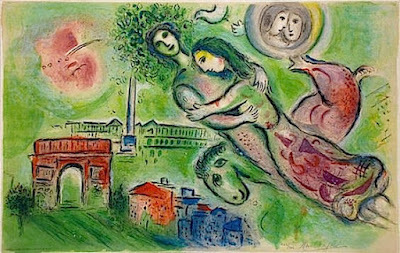 Painters and Poets: Poet Robert DiLallo on "The Death of Marc Chagall"
Poet Robert DiLallo on "The Death of Marc Chagall"
against the finite and foolish. lift high their whispering heads. Goodnight the youth you had. of the antique roving bands. a country has gone and bled. Robert DiLallo has published poetry primarily in the US and Italy, although some of his poems have been translated into Japanese. A native New Yorker, DiLallo once lived in Edgar A. Poe's house in The Bronx for five years as writer-in-residence. He is the founder of the magazine “Italian Food, Wine and Travel” and worked as a journalist and as a copywriter and creative director in advertising before moving to central Texas. Now he lives on a large cattle ranch and lists his occupation as “cowboy." 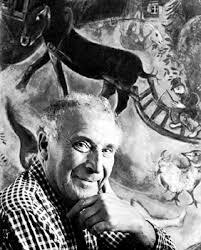 Marc Z. Chagall was born Moishe Shagal in 1887 in Liozna, near Vitebsk, Russia. 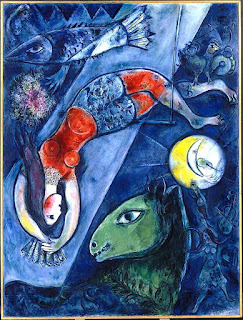 When he moved to Paris to study art, he experienced modernism's "golden age," synthesizing Cubism, Symbolism, Fauvism, and later Surrealism. Yet throughout these phases of his style he remained, as art historian Michael J. Lewis insists, “most emphatically a Jewish artist, whose work was one long dreamy reverie of life in his native village of Vitebsk." 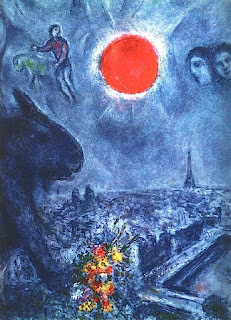 "When Matisse dies," Pablo Picasso remarked in the 1950s, "Chagall will be the only painter left who understands what color really is." 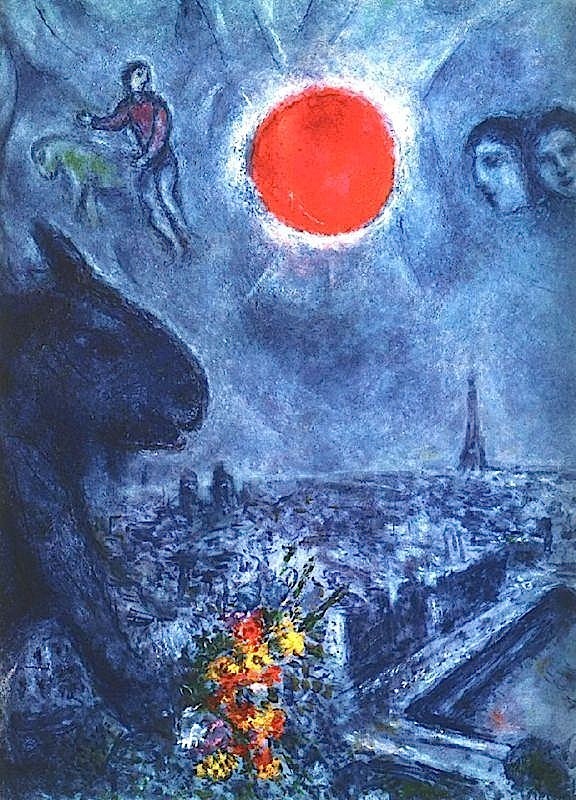 Chagall died in France in 1985. We will read this poem at your memorial service. Jim J.